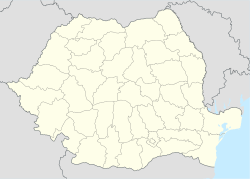 Ip (Romanian: Ip; Hungarian: Ipp) is a commune in Sălaj County, Romania. It is composed of five villages: Cosniciu de Jos (Alsókaznacs), Cosniciu de Sus (Felsőkaznacs), Ip, Zăuan (Szilágyzovány) and Zăuan-Băi (Zoványfürdő). The commune was the initial site of the events that led to the Ip massacre in 1940. This Sălaj County location article is a stub. You can help Wikipedia by expanding it. This page was last edited on 23 January 2019, at 00:08 (UTC).